We had a bit of excitement this morning when a message left on our voice mail from BBC Radio saying that they wanted to interview us for one of their segments. Apparently, a poll showed that only 20% of British workers take a lunch break. We sadly found out that the woman who was trying to get us on left sick and they didn't have time to squeeze in the story today. Sigh. 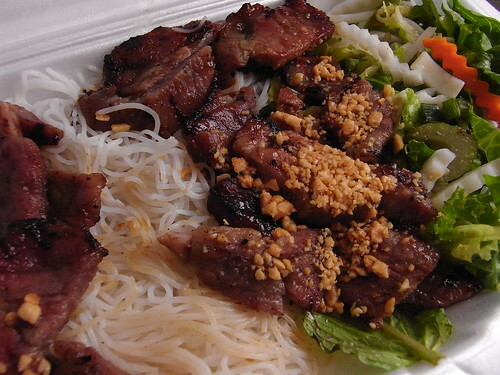 Meanwhile, we discovered that our go-to Vietnamese restaurant, Xe Lua, has a very cool and techy online menu. Be sure to post a link here and/or on facebook when (if) your piece airs on BBC. Congratulations nonetheless! This is my favorite daily read and Cafe Select (which has popped up quite often) is one of my favorite eateries! Thanks for always perking up my afternoons!